Romance never dies... or does it? Sure, the way to one's heart is through one's stomach; but trod down the same path enough, and anyone would get sick of the view. We've come up with a list of ideas for any lovebird looking to beef up their romance repertoire. From crafting your own engagement ring to steaming up in a private couples onsen, get ready to really spoil the market - and your partner silly - this anniversary. This one is for the serial staycationers. Done and dusted every notable hotel in the city? Switch things up with a serene and rustic kelong adventure just off the coast of Singapore. And no, you won't have to rough it out. 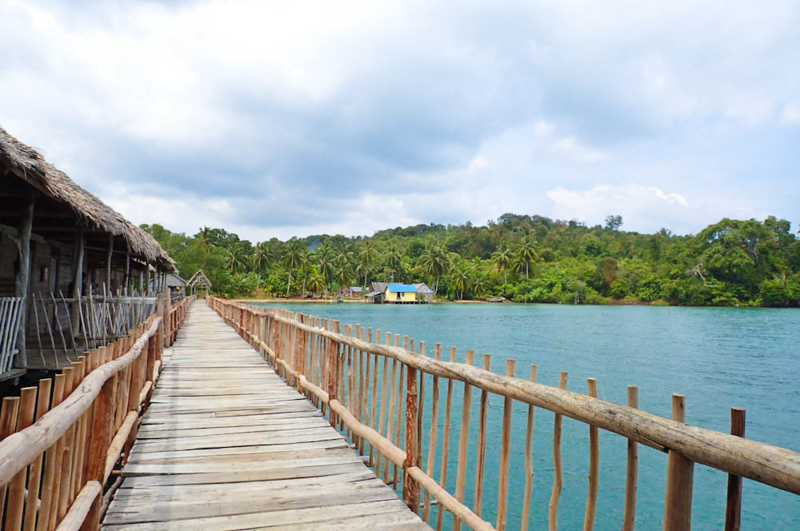 Blue Mountain Kelong over in Batam isn't just a kelong, it's a 50-acre plot of land and sea for you to fully disconnect from the world and be one with nature. Expect a meal plan of only the freshest catches of the day and activities like fishing, free diving, and trekking to be on the agenda. 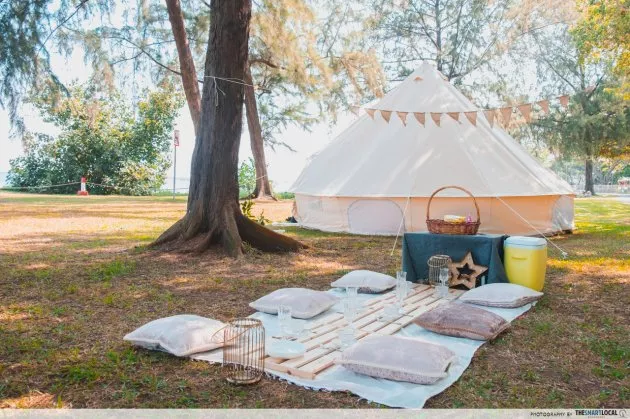 Change the scenery of this year’s ritual staycay with a glamorous tent set up by Glamping Society Singapore. Have your tent pitched by the ocean or at their newest location - Punggol East Container Park. No need to worry about camping permits either because they’ll settle all the paperwork for you. The Premium Romantic Package does all the work for you with fairy lights, rose petals, a candlelight dinner for two complete with sparkling wine. And what's even better is, all tents at their new location are fully-air conditioned for your sleeping comfort! 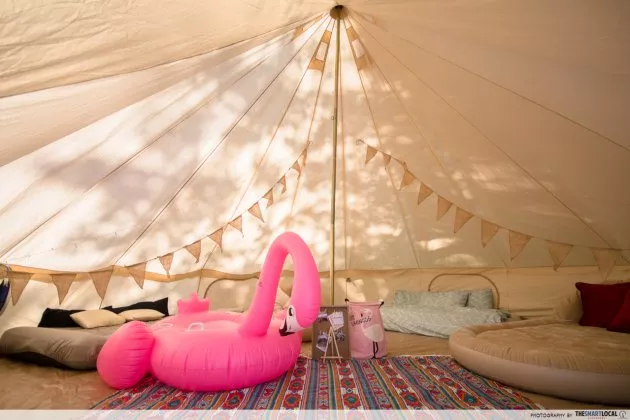 Read more about our guide to glamping here. Amp up the romance with a tent full of your best memories hanging from the ceiling. The Canon PIXMA's 5x5" square printing capability and 6-ink system will ensure speedy, high-resolution prints. Its auto duplex printing function also allows you to print on both sides of a paper automatically, completely halving your original printing time and giving you images that look perfect spinning in the wind. Couples who cook together, stay together. Even if you can't cook to save your life, whipping up good food from scratch with your partner is a great way to strengthen the relationship. 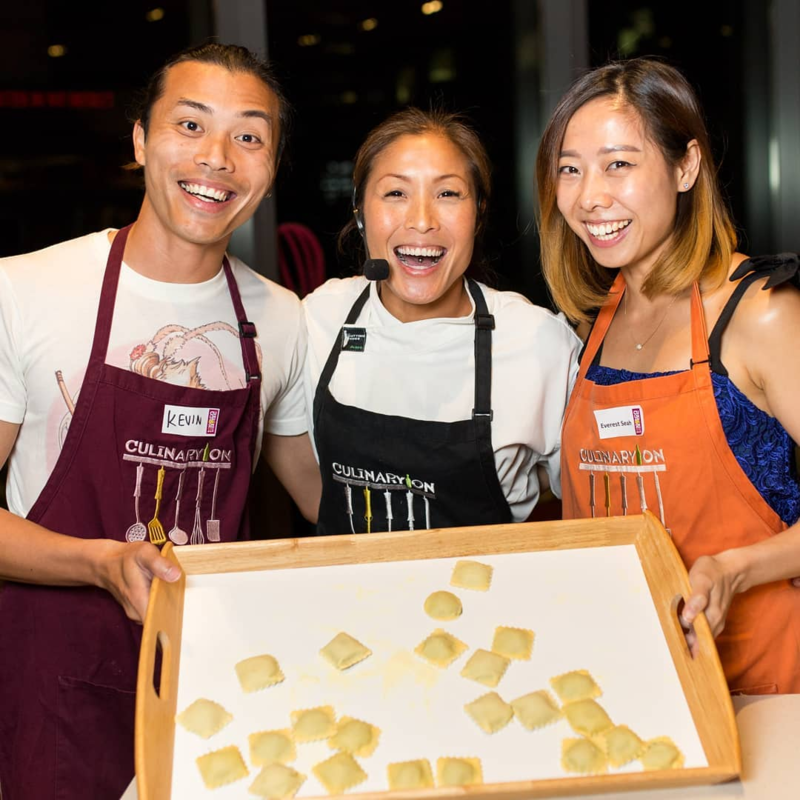 Choose from one of CulinaryOn's many masterclasses and you could be making anything from Banofee Pie to Thai Green Curry in no time. So even if the both of you can’t score a reservation at a restaurant of your choice for future anniversaries to come, you can always team up to cook your own at home. Long, tiring days in the office can lead to some serious muscle tension. 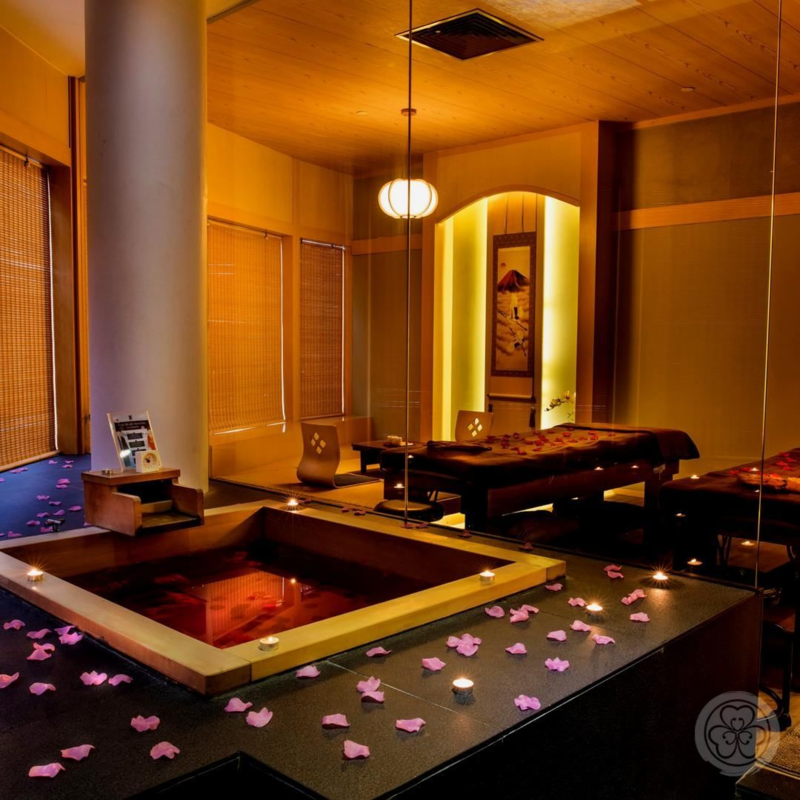 Gift your S.O some TLC at Ikeda Spa - the only spa in Singapore offering couples a private onsen experience. Their raved Hinoki Bath uses coveted cypress wood which has antibacterial properties to calm the soul and even alleviate mild respiratory problems. Plus, the both of you will get to enjoy a great view of Clarke Quay’s skyline while you’re at it. Cooking for the one you love is a romantic gesture, but sometimes all that prep and cleaning just isn't feasible or worth it. For homebodies who love lounging in after a long week in the office, bring the restaurant to you with Dine Inn. 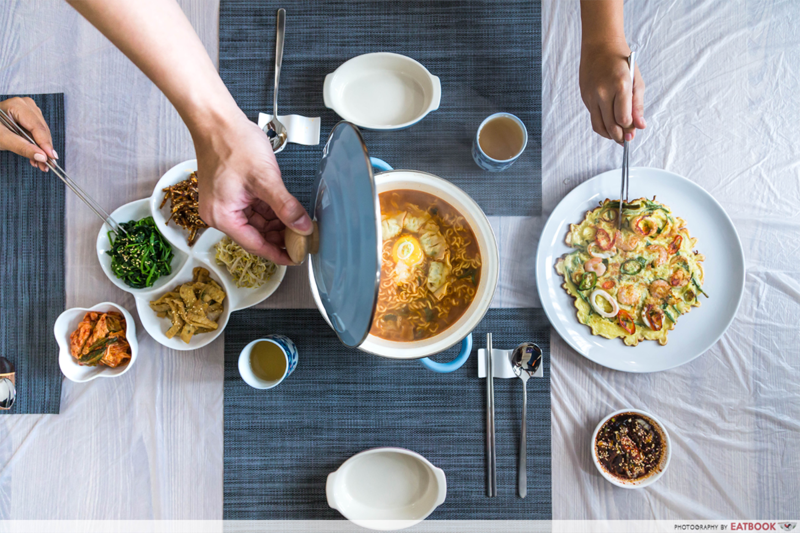 Choose from their team of home chefs for hire based on their area of expertise and have them whip up a decadent home-cooked meal on your behalf instead. That way, all you'll have to do is focus on ambience and the surprise. 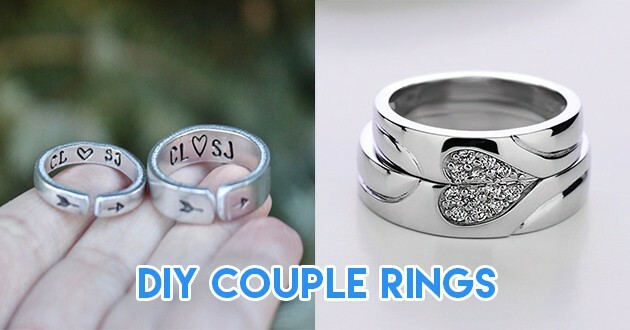 I get the couple ring concept might seem tacky, but this private workshop for 2 is all tact. 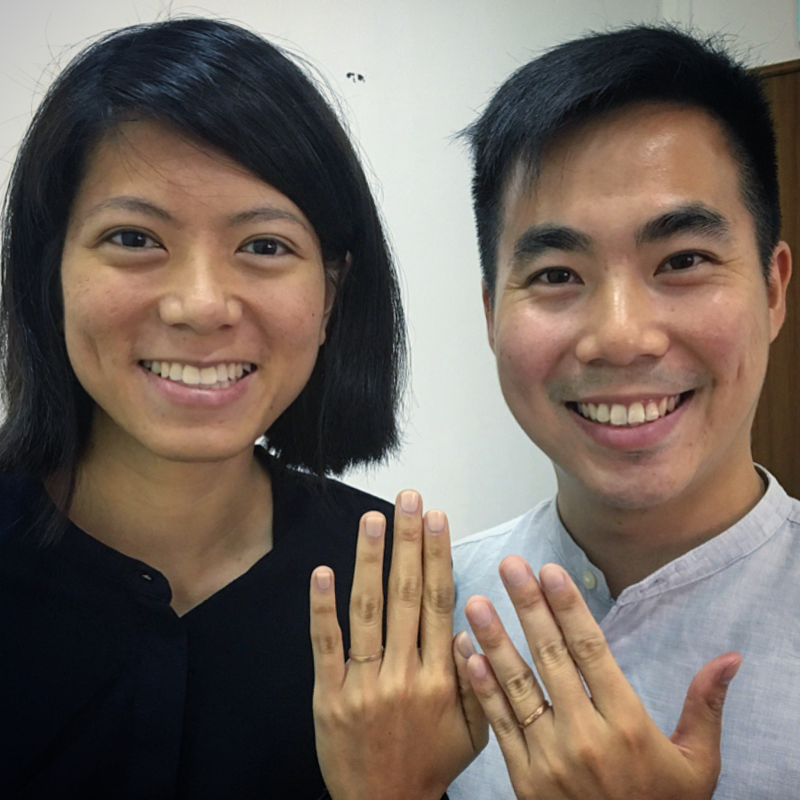 Fat Anvil Studios specialises in silversmithing and when it comes to rings, not only do they do private couple classes, they also offer workshops on DIY engagement rings and wedding bands which are 101% legit. 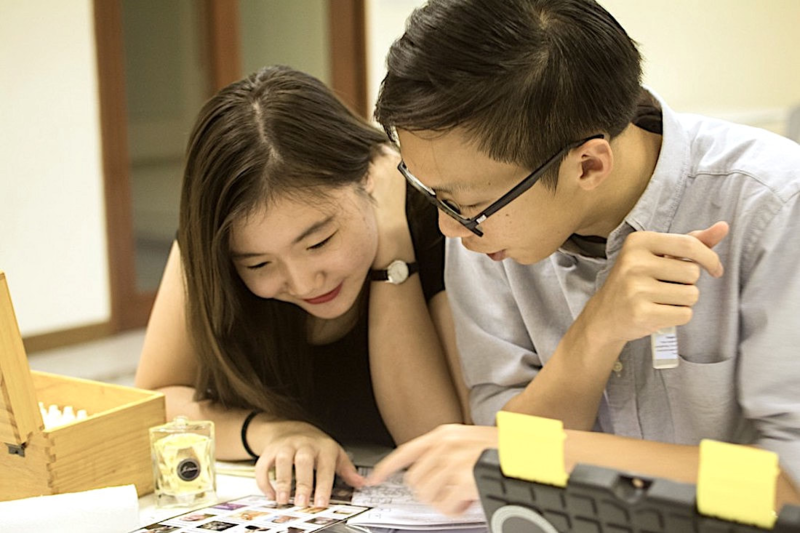 Remember our NTU Love Story with the Canon PIXMA? Take a leaf out of our book and use this chance to find out her ring size...and plan a proposal that'll truly take her breath away. Post class, capture and frame a nice picture of your rings together and have her hang that photo somewhere in her room. Then whenever you're ready to pop the question, just embed a secret message via Canon PIXMA's "Message in Print" function behind that photo, and have her decode it by scanning the picture into the app. Buying perfume or cologne for your loved one can be a tricky thing. Buy them what they already have, and it looks as if you put little to no effort into it at all. Try something new, and you could even wind up getting them a scent they're completely averse to. The solution: Make your own scents together from scratch in a perfume-making workshop tailored specifically for couples. Before the scent-concocting even begins, each couple is made to answer a list of questions to discover which ingredients suit their respective personalities. By the end of the session, you'll be taking home 2 crystal bottles with each of your names engraved on it along with 3 more vials of your unique creation. Unlike glamping which requires a camping license and limits you to selected locations, a whimsical outdoor picnic alone side steps these requirements and lets you set your dining table up wherever you please. 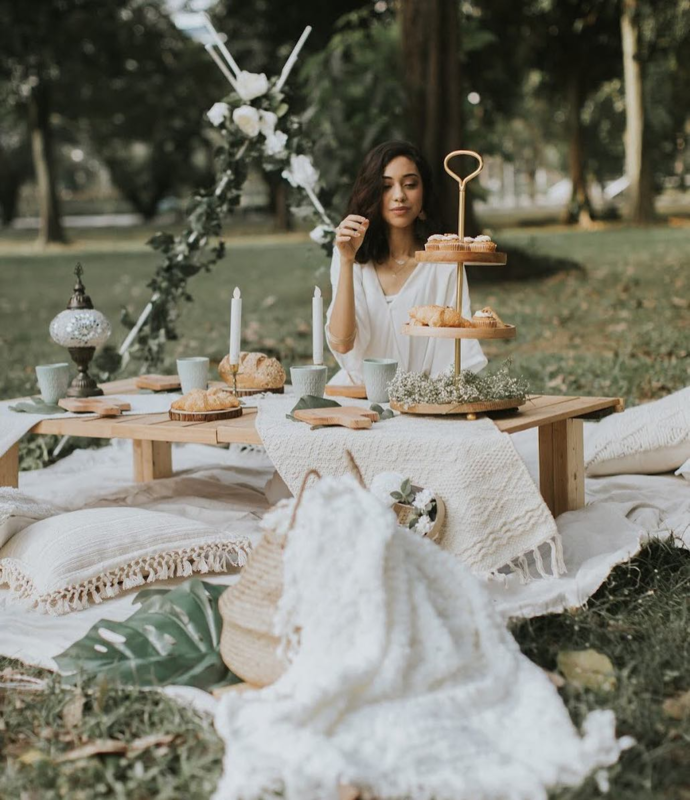 The folks over at @planb.co are the ones behind these dreamy styled outdoor picnics, which you can get set up at the Botanic Gardens, Marina Barrage, or even your roof terrace or backyard. 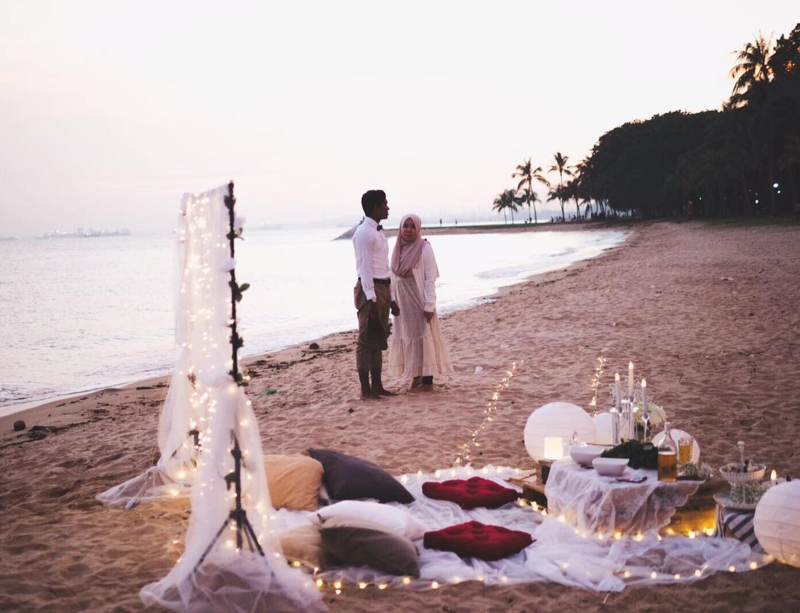 Having a private picnic sesh will definitely rack up some brownie points, and be a step-up from the usual restaurant dinner date. Plan B’s rustic Bohemian Sanctuary-themed picnic. For more information on their picnic themes and prices, click here. When it comes to adding that element of surprise, it’s amazing how a simple, unsuspecting home printer like the Canon PIXMA TS8170 can add so much value to a romantic gesture. This sleek, wireless All-In-One printer comes a 4.3" intuitive colour touch-screen display panel, and comes with a few new nifty features like a ‘Quiet Mode’ that allows you to print as discreetly as possible if you live with your loved one. 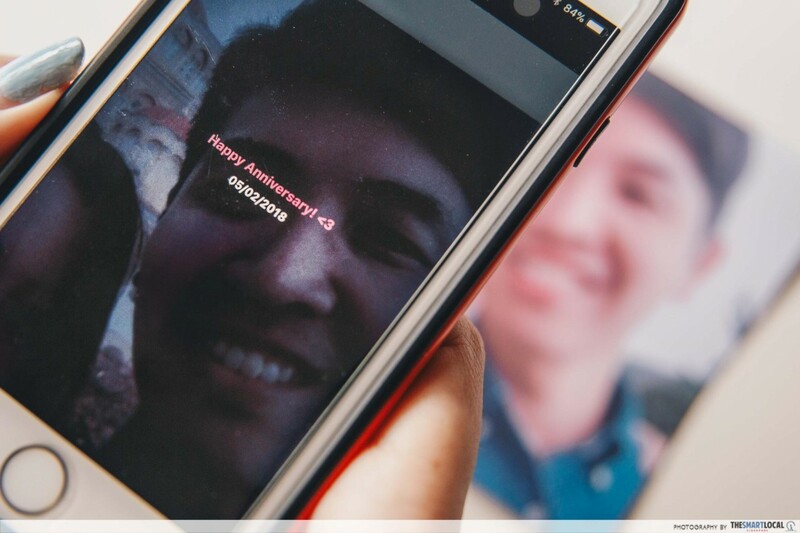 Thanks to their innovative Message in Print app, you can take your romance to the next level any day with secret embedded animated messages, videos, or web links. Just use the app to customise your personal message, tag it to an image, then have your partner hover his/her phone over the image to reveal it. It even comes with several themed templates depending on what you’re celebrating, be it an anniversary or a birthday. 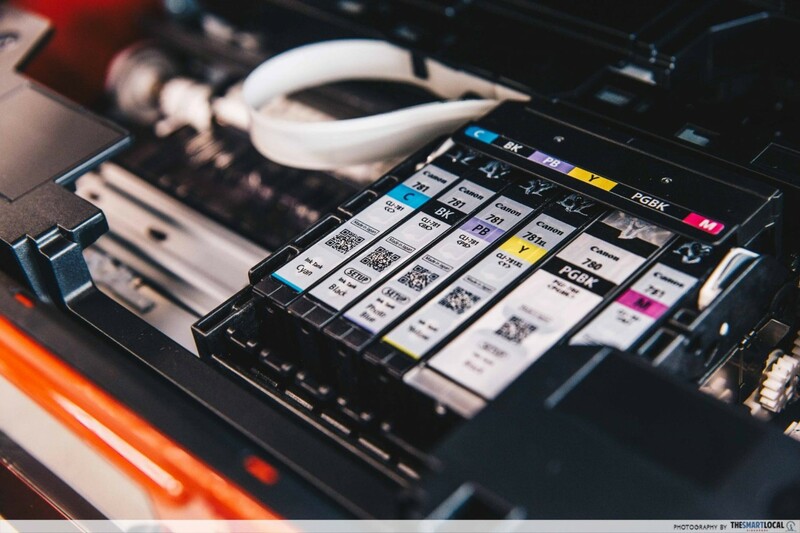 And on top of that, with its 6-ink system for vivid colour printing of photos, you can expect deeper, richer reds and a new “photo blue” ink that vastly changes the printing game, improving colour and reducing graininess. Its 2-way paper feeding system also accommodates a variety of different paper types and sizes, allowing you to get as creative as you like in your anniversary surprise. Imagine not having to go to a professional print shop to get high-quality, glossy A2 (card-size) wallet-friendly pictures because you can print it on the Canon PIXMA TS8170 for a fraction of the cost. 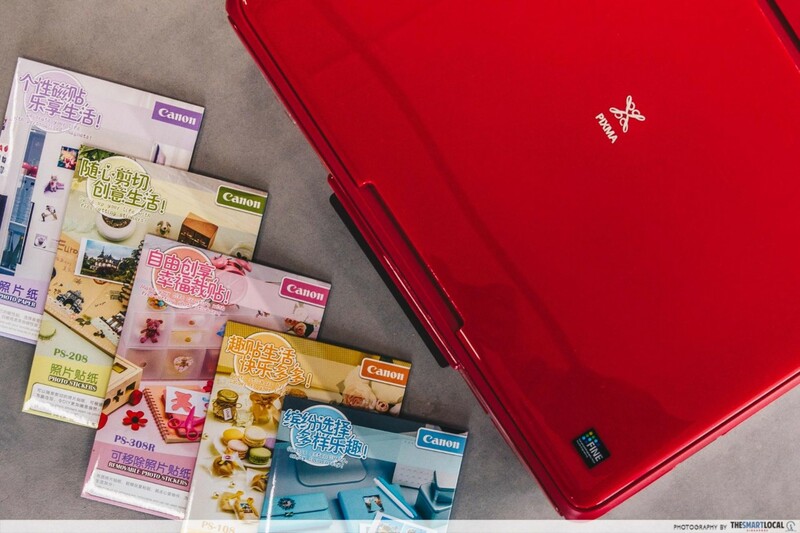 Canon's add-on range of glossy finish photo paper, magnetic photo paper, and cut-out adhesive cloth photo paper let you turn any digital memory into one that you can stick on your table, scrapbook, mirror, and even your fridge. 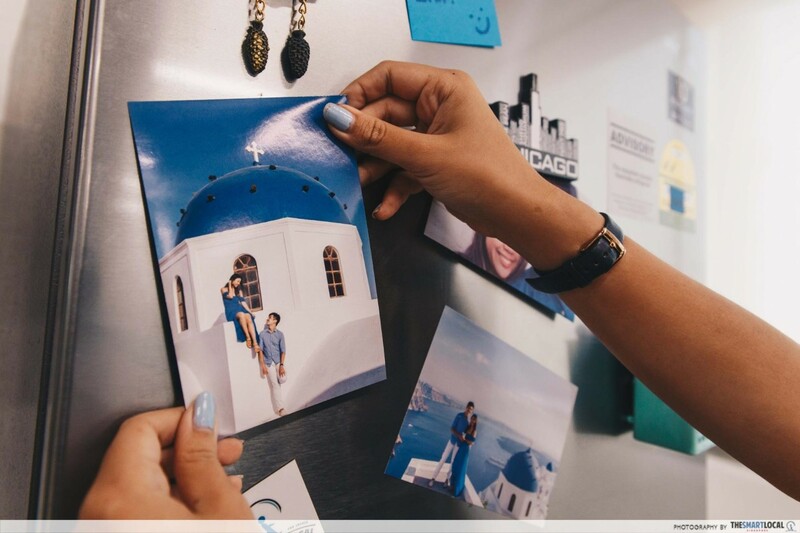 Canon’s printable magnetic photo paper lets you transform your digital prints into fridge magnets! 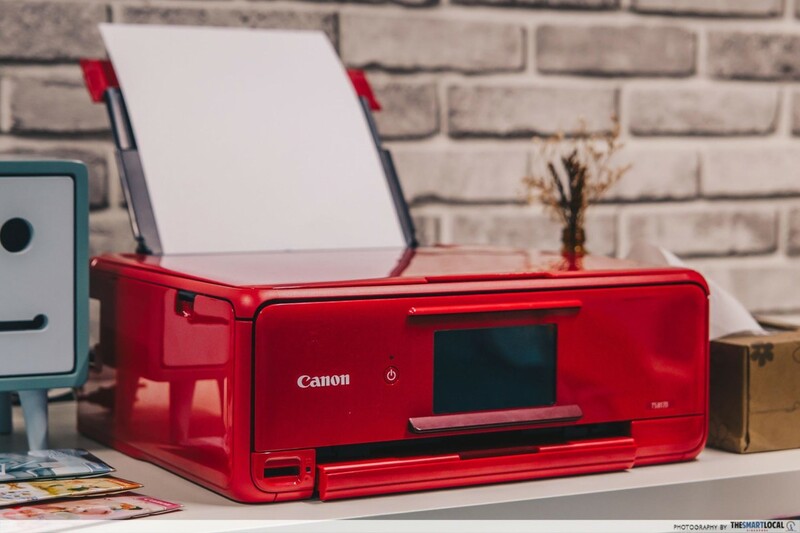 So if you’re in need of a printer and a little extra romance in your life, the Canon PIXMA TS8170 retails at S$299 and comes in three colour options: black, red, and white. Every love story is a story worth telling. Whether it's your first ever anniversary or your 20th, don't let your relationship fall into the same repetitive trap. Show your partner you still care by commemorating just how far the both of you have come with a creative and totally fresh anniversary celebration. Find out more about Canon's PIXMA printers here! This post was brought to you by Canon.